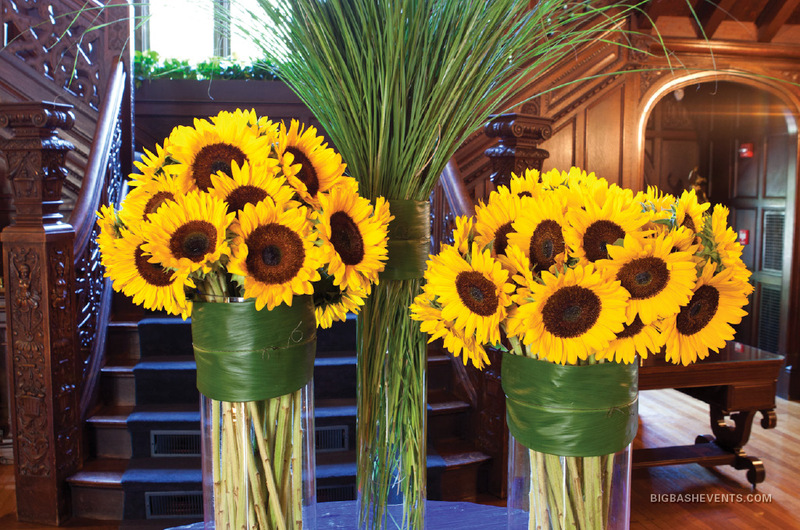 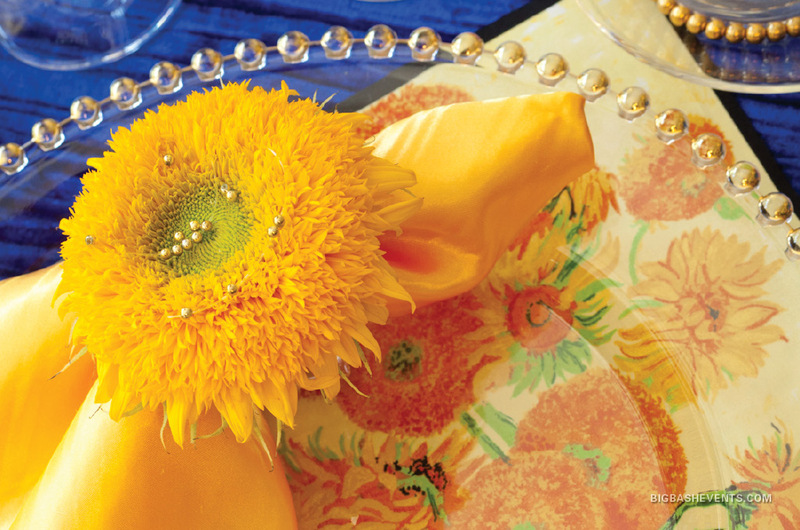 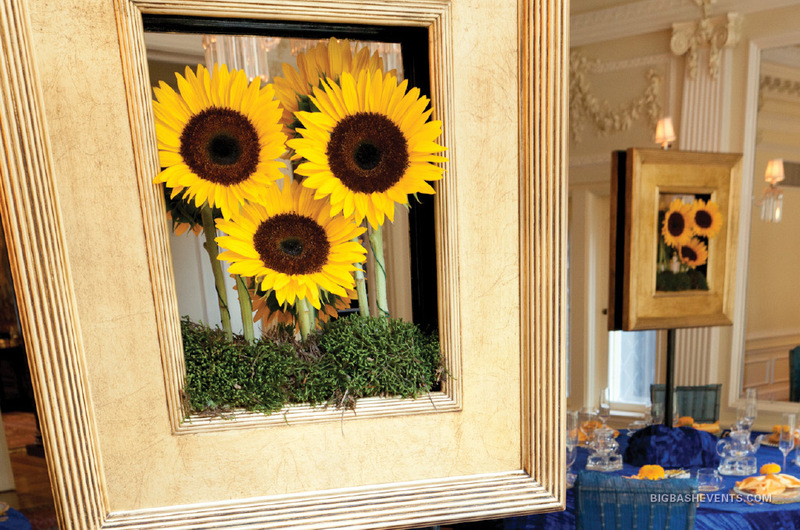 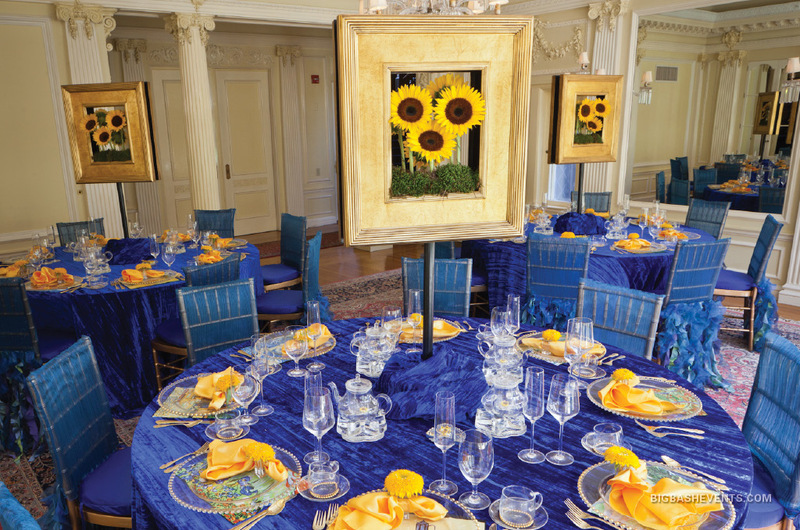 Sunflowers burst through oversized gold gilt frames creating dramatic centerpieces. 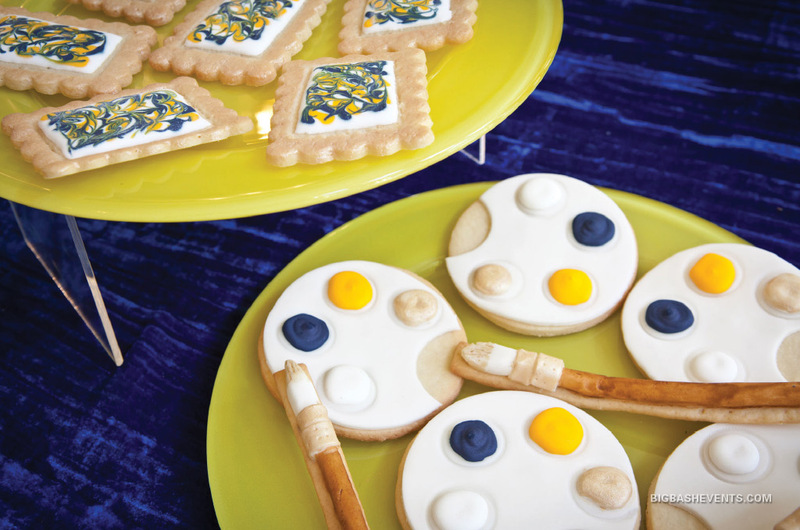 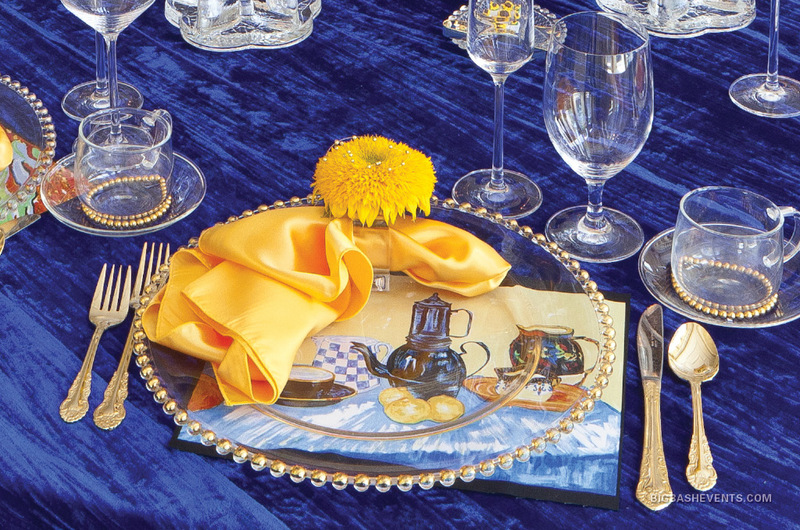 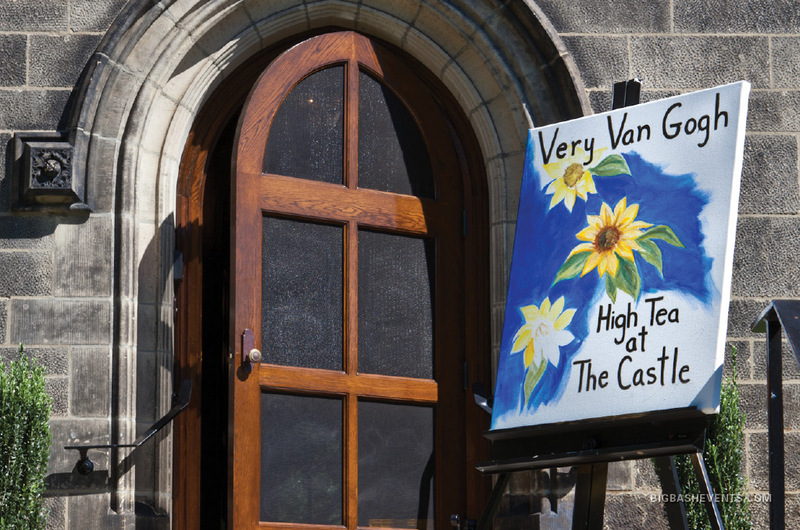 Velvety blue cloths and yellow accents set a dramatic tone. 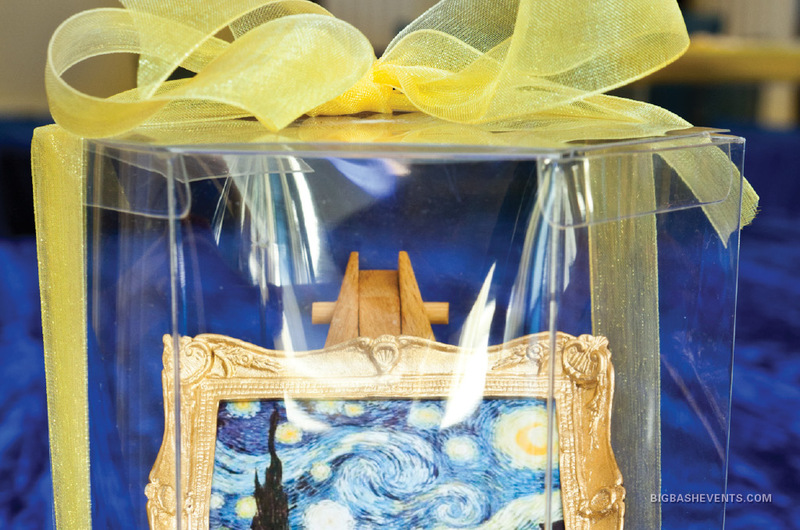 A true work of art!